Florida's Supreme Court says the state's maps have to be redrawn for eight congressional districts, but many more will be affected as well. Florida's 5th Congressional District, seen in dark purple, meanders from Jacksonville to Orlando. To meet requirements that maps be compact, the court said it would have to be radically redrawn. Five years ago, Florida voters amended the state Constitution to try to take politics out of redistricting. Under the law, the state Legislature must draw the maps without regard to political parties or incumbents. Last year, a state judge found that the Republican-controlled Legislature violated that law, and he ordered two districts redrawn. Now, Florida's Supreme Court says that ruling didn't go far enough. 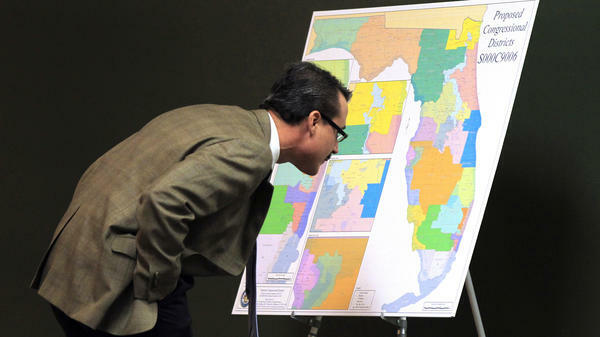 The Supreme Court is ordering Florida's Legislature to redraw the maps for eight congressional districts. 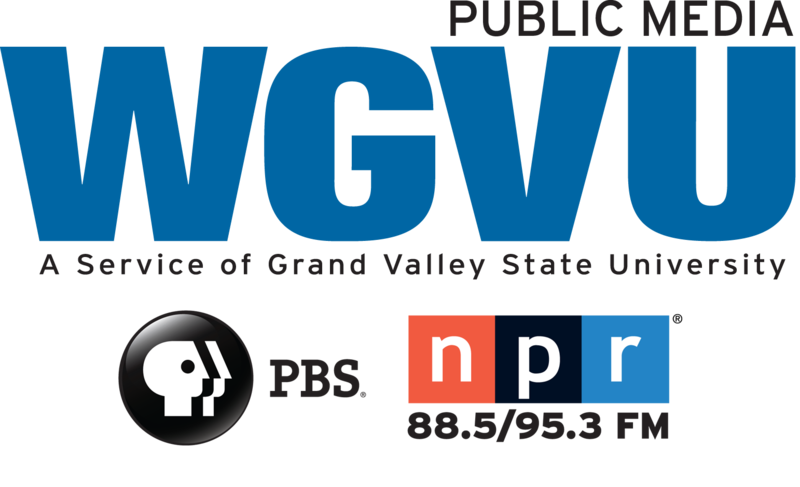 Suddenly uncertainty surrounds next year's elections, said Michael McDonald, who teaches political science at the University of Florida. "There are incumbents," he said. "There are potential challengers to those incumbents. All those folks are now on hold until the state Legislature can draw a new map." The justices gave Florida legislators 100 days to produce new maps. That will require a special session of the Legislature. Although the court says maps have to be redrawn for just eight congressional districts, many more will be affected. 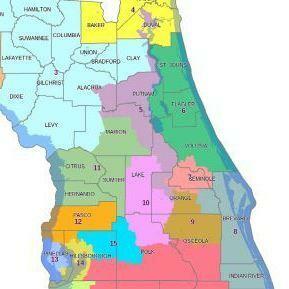 Take, for example, the 5th Congressional District, one that meanders from Jacksonville to Orlando. To meet requirements that maps be compact, the court said it would have to be radically redrawn. McDonald said that's a change that will affect several other districts. "There's suddenly going to be this big sucking sound in the middle of Florida as all the districts have to move towards the center in order to take up that population which is no longer within the 5th Congressional District," he said. At least eight other congressional districts in Central Florida will be directly affected by the change in the 5th District. The member of Congress who represents the 5th District is Corinne Brown, a Democrat and an African-American. She called the Florida Supreme Court's decision "flawed" and one that fails to take into consideration the rights of minority voters.